Auburn Village offers a physical therapy program that provides intervention strategies to improve your strength, mobility, coordination, and balance. Our physical therapists will guide residents through specific techniques to improve skills such as the ability to walk or climb stairs. 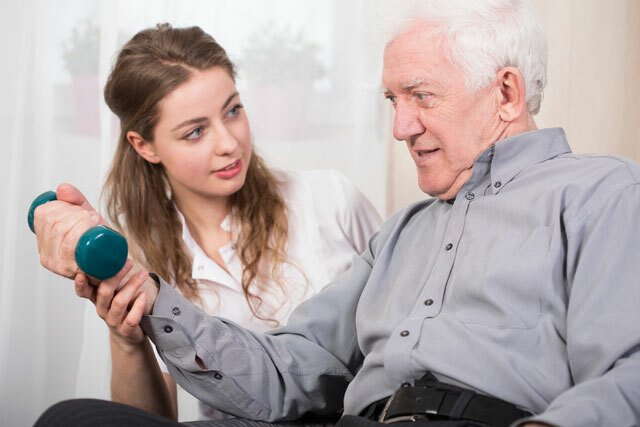 Physical Therapists (PTs) work with patients who have impairments, limitations, disabilities, or changes in physical function and health status resulting from injury, disease or other causes. Their role includes examination, evaluation, diagnosis, prognosis and interventions toward achieving the highest functional outcomes for each patient. Who Should Participate in Physical Therapy? Seniors who need to restore normal function to the neuromuscular and skeletal systems, relieve pain and prevent disability. Why Choose Auburn Village for Physical Therapy?